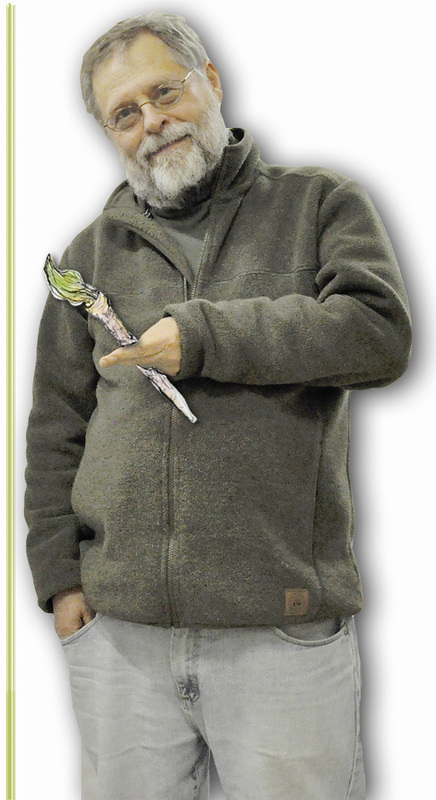 Bob Haverluck is theologian and artist storyteller who works with community groups using the arts to help engage issues of conflict and violence against the earth and her creatures. The stories in this collection re-claim God’s peculiar and particular love for the earth and all creatures. Both found and forgotten throughout the Hebrew and Christian scriptures, these stories and related teachings demand attention in our ecologically troubled times. Storyteller and cartoonist Bob Haverluck re-casts them in ways whimsical, at times harsh, and persistently hopeful. The poetically turned stories, together with the provocative drawings, lead us backwards in order that we might go forward… something like skunks and porcupines. Including a foreword by Ched Myers; a postscript with story sources, themes, and ways the stories have been used; original songs; and 55 drawings. COST: $28 + postage. Bob is a friend of the Centre for Christian Studies and is donating the profits from his book sales to CCS, so not only do you get a book that inspires hope, mirth, and action, you support a fine school. Stop by the CCS office (60 Maryland St., Winnipeg). "Wild and Wonderful! These words spring to mind reading Bob Haverluck's stories and meditating on his drawings." "...In a word, rollicking - a hoot and a reverential treat. It's a first aid kit for the soul. These rug-pulling parables in word and wit and visual wizardry spark gratitude and delight." "This is a different kind of 'Earth Bible' hermeneutic, but equally insightful... The poetic license Haverluck takes in his re-narration is delightful, yet anchored by a careful literacy in canonical scripture." Naked Jesus does a handstand on a turtle's back, wearing a sign saying "Blessed you creatures of woe, yours shall be wow upon wow. Blessed you seekers of Earth's happiness, you are God's sparrows, darlings of earth." When God was Flesh and Wild follows Jesus on his vision-quest into the “bush garden”, the wilderness along the Jordan River. The King of Bigger and More is a childlike story for adults. It tells of an arrogant king whose good news building schemes are bad news for the creatures beyond the king’s great city. Is this recasting of a King Nebuchadnezzar legend a once-upon-a-time story or a time-and-time-again story? Little Sparrows See God Fall takes place in the unholy city during the last days of Jesus, the shepherd of the wild garden. The unwelcome mat is out for such a disturber of the peace as Jesus. But what if death’s worst only precipitates a resurrection? Bob Haverluck is an artist storyteller who works with community groups using the arts to help engage issues of conflict and violence against the earth and her creatures. Recently he has been resident artist for three year-long arts-based ecology projects attentive to rivers, lakes and forests. His drawings have appeared in Harpers, New Statesman, Arts: Arts in Religious and Theological Studies, etc. Bob has led courses and conferences on the arts, the bible and social change with particular attention to the role of comedy and community. These have included times in Chicago, Toronto, Cape Town, Vancouver, etc. 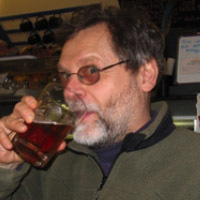 (Bob has also been a workshop resource person at the Centre for Christian Studies.) From 2001-2003 Bob was artist-in-residence at the University of Winnipeg. His book publications include Love Your Enemies and Other Neighbours… and Peace/Conflict Studies. Bob was awarded the “first prize” for “Poetry” Canadian Church Press Awards (2004); “Award of Excellence” for Graphic Humor by Associated Church Press Awards (2005); YMCA Canada Peace Medal (1994); McGeachy Senior Scholarship (2013 & 1992), and D.D. (honoris causa) St. Andrew’s College, Saskatoon (1996). I’m intrigued… Inspired – can’t wait to dig into these as well as show them to others! For adults, our children and youth — the pics (I am imagining) will provide an immediate jumping off place for conversation and provocation. They seem to immediately “stir”…..I’m stoked! Yeah, Pam, they’re pretty great. Lots to chew on. Good question, Bill. Bob says he has an anti-racism comic book that came out after the Aboriginal Justice Inquiry. (I think it’s called “Confessions of a Jailbird”.) It was developed from conversations with students at Rossbrook House and the JOURNEYS Literacy program.